I had a Forrest Gump moment recently. Let me back up. I was born a sickly, asthmatic child. My mother loves to tell me how I was allergic to “everything,” including my own bacteria. I was three before I could have ice cream and cake for my birthday. Gradually, I outgrew the allergies, but I didn’t outgrow the perception that I wasn’t capable of strenuous exercise. I wanted to play basketball. I loved running down the court, heart racing, stealing the ball, trying to make a basket. But my mom took one look at my flushed cheeks and promptly sat me down, no matter the sport. So I grew up. And out. Because exercise was forbidden me (except, please tell me why, gym class! ), I became pudgy, thinking it was just my birthright. Even though I wasn’t supposed to get overly warm, I always wanted to be in a triathlon, from the moment I read about them in a fitness magazine. I decided that since I knew how to swim (Sort of – when you’re as large as I was, you have total confidence that you won’t sink. Ever. ), and I knew how to ride a bike (not a speed bike, admittedly, but how hard could it be? Turns out, very. ), all I needed to do was practice running. Except. Except right outside of my parents’ West Virginia home, there was nothing but mountains and a dangerous road that coal trucks liked to speed down. Joy. Maybe I would just put that dream on hold, too. I thought about running again when I was in college. Thought about it. As in, checked a magazine out of the library, read it, told my husband (I married young) that I would be back and ran out the door and down the block, got a side cramp, came back inside, and promptly gave up. Twenty–plus years later and I have managed to take off lots of weight, mostly by walking and lifting weights. Then I see a Biggest Loser episode where Jillian Michaels starts yelling at people bigger than me to go faster! They aren’t walking on the treadmills – they are running! I asked myself why I don’t run. I told myself it’s because I injured my left knee when I was about 23. It’s true, but I haven’t really tried running to see if my knee can handle it. I just “know” that I can’t run because I am still the sickly child, right? I decided to give run/walking a half-hearted try, even entering two 5K’s. But this past October, despite a knee that was aching, when the herd started running at the start of the race, I caught myself running just as hard as they were. And I kept going. And going. And going. I ran the whole thing, not stopping once. I was exhausted. No one said “Run, Drema, Run,” but our church’s associate pastor was standing on the sidelines, and she was cheering and that fueled me the rest of the way, and I ended up placing first in my category’s age group! That was a major turning point. Why had I allowed others to define my abilities for so long? I have run harder and faster every day since. Right now I am in training for a half marathon, and I’m within two miles of being able to do it. Had I but known I could run when I was back in college, I would have been running for years. Well, at least maybe I’ve saved my knees a bit of wear and tear. Though I wish I had known then, at least I know now, and maybe that’s enough. What it has taught me is that I can do so much more than I ever thought possible. Every day I push myself a little harder to try a new idea, cook a new food, or submit another story. So in a way, I’m glad I didn’t know. 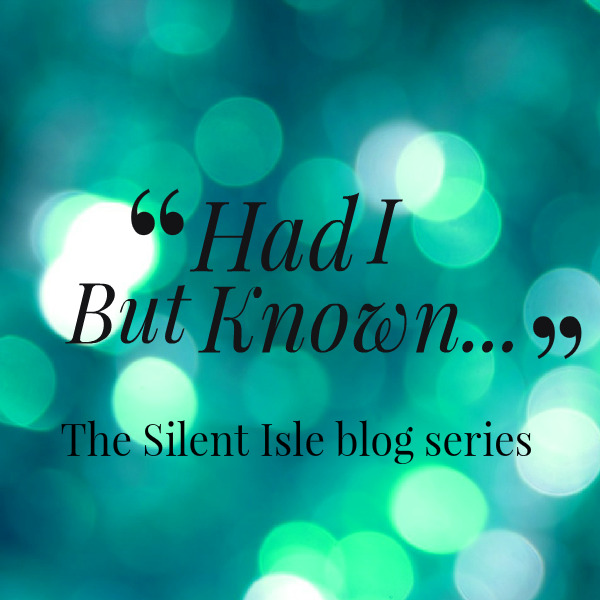 Had I but known…there is so much I wouldn’t know now! Drema Drudge is an MFA student with Spalding University, a wife and mother. 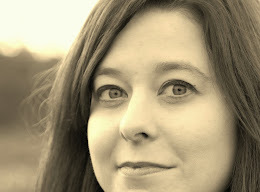 Her most recent work has been published in The Louisville Review, Mused, ATG, and Penumbra. She is a regular contributor to the popular Chicken Soup for the Soul series. For more information about Drema, read her blog at: dremadrudge.wordpress.com. Thank you, Drema, for this inspirational piece! I am so honored by your visit and always revel in the loveliness of your prose. Thanks, Liz! From your lips to God's ear...only 1.1 miles to go to be able to run the half,lol. Go, Drema!!! This is so inspiring to me. I ran cross country in high school but havent really run since and have just recently started up again. We can do it! That's awesome Drema! I'm so inspired by your accomplishments. I find myself saying over and over again, "I can't" and making a million excuses. Your piece is so encouraging, I'm going to have to follow your lead. Thanks, Kristi. Maybe we should have a running club in Ireland. Or walking, whatever. Althought residencies tend to wear me out even if I'm not running. Thank you for such an inspiring piece. So often it seems way too easy to let others define our abilities, or to let our doubts take over the little voice in our head saying but what if.... You show just what is possible when you are brave enough to stand up for that little voice and dare to try. Aw, Liza...thank you! I am learning that I am the one who has been limiting myself all along...see you in Ireland!